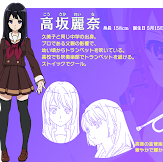 Synopsis: Hibike! 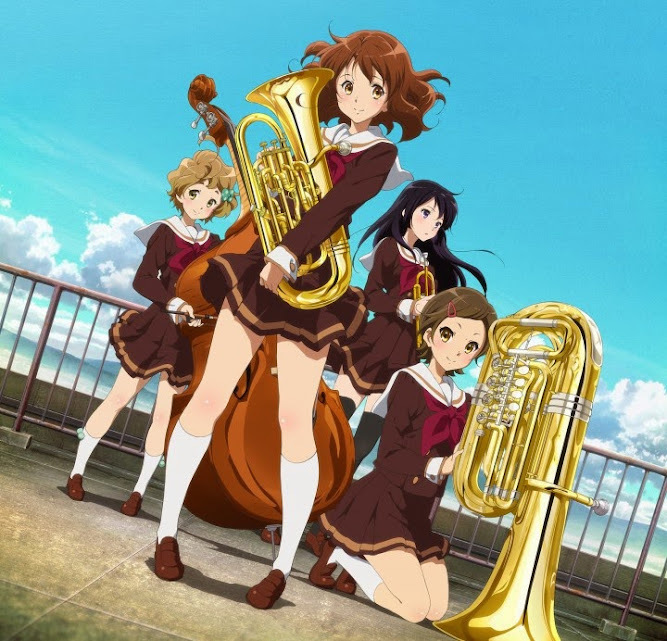 Euphonium begins when Kumiko Oumae, a girl who was in the brass band club in junior high school, visits her high school's brass band club as a first year. 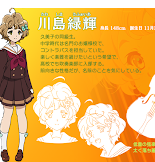 Kumiko's classmates Hazuki and Sapphire decide to join the club, but Kumiko sees her old classmate Reina there and hesitates. She remembers an incident she had with Reina at a brass band club contest in junior high school. Can someone PLEASE explain to me why Satelight is doing the Yuki Nagano anime and NOT Kyoto Animation? This just feels SO WRONG. Anyway at least this spring is actually something good to look forward to. ^ well cheers bro, im dropping this, k-on was epic because of the character designs just as was nodame cantabile, but i'm sick of the music genre, i cant stand it since im so out of topic when im seeing one, sure i love and apreciate music and i ABHOR that some highschools take it out of their curriculums saying art is not necessary, but i can't read a partiture even if my life depended on it. The subject feels way too alien for me to enjoy. k-on was epic because of the character designs just as was nodame cantabile, but i'm sick of the music genre, i cant stand it since im so out of topic when im seeing one, sure i love and apreciate music and i ABHOR that some highschools take it out of their curriculums saying art is not necessary, but i can't read a partiture even if my life depended on it. The subject feels way too alien for me to enjoy. Edited by NecroRyu, 28 April 2015 - 02:00 AM. -Sound! 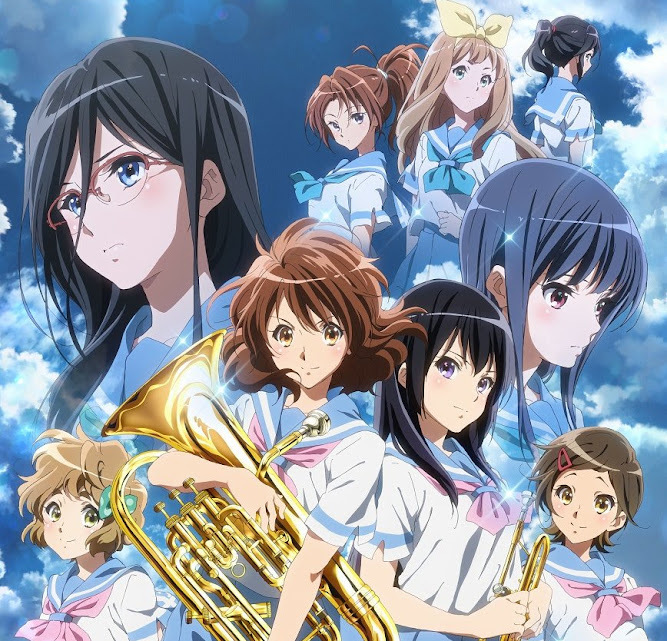 Euphonium was plenty enjoyable and a gorgeous looking KyoAni show. Yeah its hard following something when your heart is not in it.. i think its preferable to drop something rather than push yourself to do everything. I have around 20 animes and 15 games that i own on my backlog right now, and that is even after dropping stuff. Its like what Rikka's sister mentioned her grandfather said in Chuunibyou after Rikka sang the Twin Spica ending (epic song), "life is limited, there isn't enough time to do everything you want, so you have to choose the things you want to do"
its hard following something when your heart is not in it.. i think its preferable to drop something rather than push yourself to do everything. I have around 20 animes and 15 games that i own on my backlog right now, and that is even after dropping stuff. 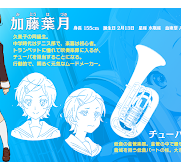 actually i haven't reached that point with this series yet, may be my interest on concert bands by watching Whiplash... lol well isn't like Taki-sensei will insult or throw stuff to students, Reina loves him I think so HazukixShūichi in ep'6 too? just me or is she reading JoJo? did anyone check out the first? 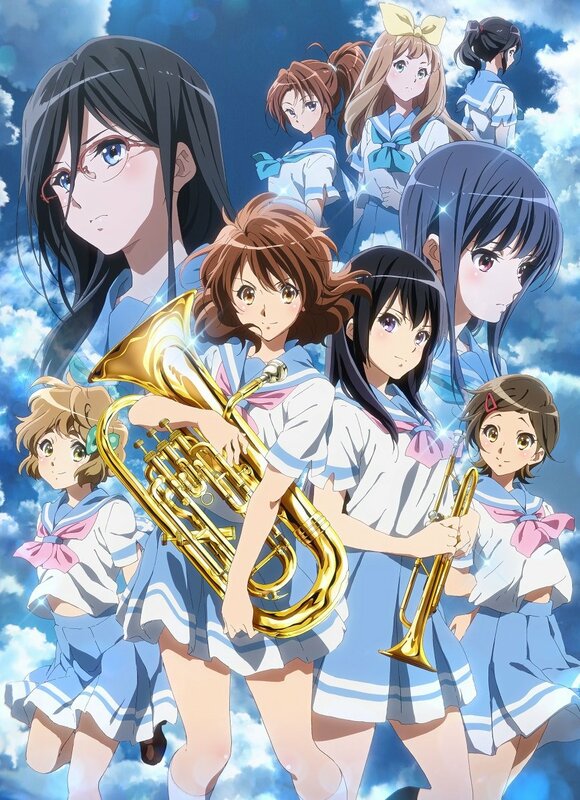 Not too often an anime is done with band students. Of course, these are pretty types, but aren't they always in anime? if not in actual band class? Edited by NecroRyu, 31 October 2016 - 07:00 AM. This series is a "miss" for me, I'm afraid. a "miss" for me, I'm afraid. I was pleasantly surprised to find I really enjoy it. 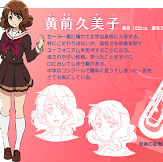 The depth the characters have is amazing, and complicated characters like Asuka really round out Kumiko's dark nosiness. After this week's episode, I'm really curious to see what happens with Asuka- I'm pretty sure she didn't show up because her mother stuck her in an all day cram school program. Crap! I just closed the window! Ok, yes, I was in band back in the day... which originally got my attention on this series... the same similarities exist, though our school wasn't in the competition category (not really), and I would've left if others came along to take my place, as I lost interest in it, and with lower population counts here and in Japan, the same issues show up... being in band simply isn't something most of them do... most today just watch/listen instead of learning to play themselves. I guess many start but never really play too long. Most schools have half the student count and the bands have even less, something I notice when seeing our hometown band on the field practicing... it's probably 1/3 the size ours was back in the day... we had to share lockers, but I assume none of them have to for the last couple of decades. The town has more homes, but less people in them. Typical of most 'developed' nations at this point in the 'rise and fall' curve. The part mentioned in S1 but finally shown here in S2 about how our MC wanted to play a different instrument but was pushed into a different one due to the overload of kids that already picked that trombone that her sister played was interesting and so accurate... if the teachers didn't, it would be a group of kids learning the same 4 or 5 instruments. The writing is well done within this trope of a competition in high school, the carryover issue from losing in jr high etc.... nicely done... handled well, short and bittersweet usually, just enough though a bit more would be better, but that can always be written in later when and if needed. This is based on a novel... and a sequel it seems, with a couple side story novels... that seemed to finish last year... which could be restarted if the money's right, I imagine.... as this story is being told slow enough that it would be 2 seasons for one school year, so 4 more or even more... if it's based around our MC, then it could extend into college if they wanted to continue the series... but K-ON stopped after high school so far... so I wonder if the demographics for these shows remains under 17? The MC is an interesting mix, nice character setup... compared to the sister who went through a similar concern years before and that whole story... the other girl and her mother... etc... nice collection of characters, without having so many that you get confused or lose interest... and none of their characters issues are really unusual... so very SoL, though more dramatic.. more like one of the high school boy athetic competition animes in setup. Edited by gdpetti, 26 November 2016 - 02:14 AM. This is based on a novel... and a sequel it seems, with a couple side story novels... that seemed to finish last year... which could be restarted if the money's right, I imagine.... as this story is being told slow enough that it would be 2 seasons for one school year, so 4 more or even more... if it's based around our MC, then it could extend into college if they wanted to continue the series... but K-ON stopped after high school so far... so I wonder if the demographics for these shows remains under 17? Edited by NecroRyu, 30 November 2016 - 10:02 PM. All wrapped up in ep 12, right? wasn't there 13 eps in S1? I'm assuming this ep 12 is the season finale... thought they'd end it in less than 'gold', otherwise, the next season wouldn't be driven to succeed like it is now... competition is always best when earned. The writing is good in this series, nice touches with the adults in a generally H.S. anime.. not something we usually see, as the adults are usually just flat b.g. characters, but the writing here gives them depth.... I thought Asuka's father would make a short appearance, but only a message, guess the writer didn't really want to touch on that subject much? Just enough for characterization, but not enough to make a comment on divorce etc.... hasn't seen him since he left when she was so young? that's interesting. Maybe next season before she graduates? hard to leave that kind of thing on the table and walk away.... too juicy. Another tidbit is the onee-san bit at the end, they really drew her sister to be suddenly much more mature... which I think is pushing it a little, but it doesn't really matter. unless she returns in future eps next season. They left her in the b.g. it seems, like all the parents... she served her purpose and is no longer necessary for our story. Overall, a good series, didn't originally think it'd be this good, but as usual, it always comes down to the writing... no matter what the genre is... and the MC here is sort of a shared one at times, depending on the episode.... which is another nice buildup in the characterization... also can work at times with the orchestration if they want to use it that way in crescendo to the end... interesting that they chose not to push the performance in the last ep, sort of signalled that they didn't get gold... next season, or will they milk it till our MC is a senior? Probably, right? Silver then gold. It's always nice to see good writing that doesn't go wimpy at any time... no shortcuts... which seems to happen when situations are forced.... setting up a new character/situation to push the action. Good writing prevents that crutch, which shows up more in this type of SoL... as some aren't plot driven or even character driven, but atmospheric, though most combine the three. This one will be around for a while... band isn't the usual H.S. subject matter for animes... which makes this one rather unique... nothing 'special', no magical girls, superpowers, dark magic, end of world dystopian nightmares etc... just everyday reality of a few high school kids life. PS... Ok, there was an ep 13... an epilogue seeing off the seniors... it was ok, but I did tab forward through half of it.... The only thing that got my attention is the difference between here in the States and Japan.... the seniors don't leave band... as it's a class, at least in my school, and not a club activity, so the seniors leave at the end of the school year along with everyone else.... This is a pattern we see often in most anime... the seniors leaving.... not available for the Spring competitions etc. I guess it was a nice little sendoff episode to finish the school year... emphasizing the lightly falling snow of winter as the saying goes: 'out with the old, in with the new'... setting up the next season. All wrapped up in ep 12, right? Well, IMO, the finale seems to imply a S3... the quest for the 'gold award' at the competition.... for themselves and for sensei and his desire/need to complete his late wife's wishes/goals. The show seems ready made for the in their second year in HS, then their senior year... don't you think? Of course, popularity is key... are the ratings good or not? The show seems ready made for the in their second year in HS, then their senior year... don't you think? Of course, popularity is key... are the ratings good or not?